Hello September! For me, September is all about setting goals and starting new. Who needs to wait till January? In the United States, it is also Fall, my favorite season. I love curling up with a cup of tea, book and nice fire. There is just something cozy about this time of year, as we begin to prepare for the real cold weather. As always, we have some great picks for you in this months What Your Therapists Are Reading, even a workbook I will be picking up soon! WISE UP PowerBook by C.A.S.E. Who knew a middle-aged man could so acutely tune-in to the inner experience of a young girl battling emotional demons? The reader neither pitties nor villianizes the complex protagonist – we just learn a little bit about the fragility and resilience of humanity. You can connect with Dr. Angelica Shiels, licensed clinical psychologist at facebook.com/ontheyellowcouch or you can contact her for in-person therapy (Maryland)/phone consultation. by Ronald J. Frederick, Ph.D. 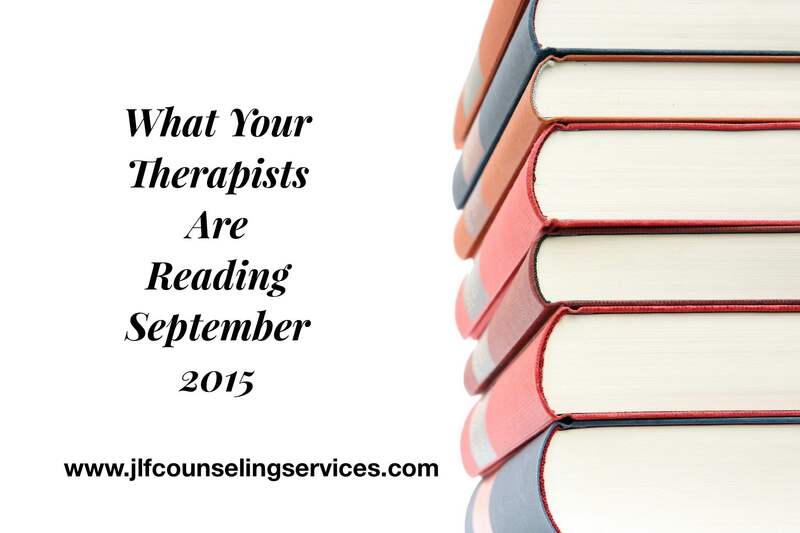 Thank you for taking the time to read What Your Therapists Are Reading. I hope you are enjoying our monthly reading list. I am confident we have something for everyone! As always, we are doing this monthly and if you just joined you can find the other posts and please check them out. January, February, March, April, May, June, July, and August. Please note that this information is for educational and informational purposes only.